Situated in a lovely rural setting 3.5 kms south of the town of Clare and right on the Riesling Trail, our three night stay at the family owned St Helen's Cottages was an experience worth writing about. Owned and run by Carol and Russell Topperwien, there are three cottages as well as a lovely 2 bedroom suite in the main house. 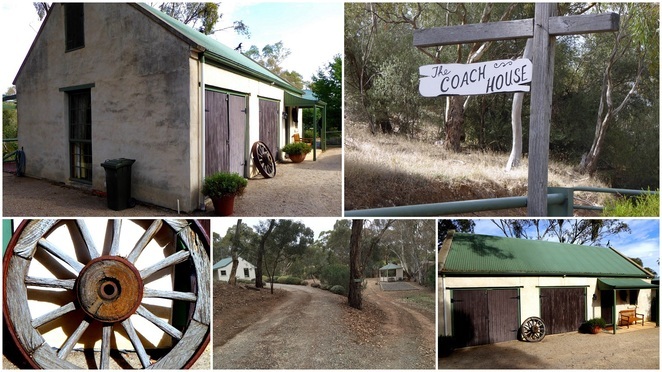 We chose the Coach House and loved every moment. This cute cottage has two bedrooms, one bathroom, good-sized sitting room, excellent balcony and a well-equipped kitchen. What really impressed us was the attention to detail with which everything was done. In the fridge we found a basket full of eggs laid by their own chickens, two packs of bacon – enough for our three breakfasts, milk, and orange juice. On the bench was everything you need: wholegrain bread for my husband and gluten free bread for me, vegemite, jams, and a selection of Twinings teas. For coffee there was a plunger/cafetiere, and a more sophisticated coffee machine which comes with easy to follow instructions. Beds were comfortable with extra blankets, and towels were new, nice and fluffy. No old towels here. There was a great selection of DVDs, CDs, games and reading material, and their in-house compendium had some great advice on what to do and where to eat in the area. St Helen's has two other cottages – Fettler's and The Pavilion, one of which is a two-bedder and the other is a one-beddder. All of these are self-catering facilities. The in-house Guest Suite which is absolutely gorgeous gives you two grand bedrooms, one with a four poster bed, and a large sitting room with fireplace, and a dining room. 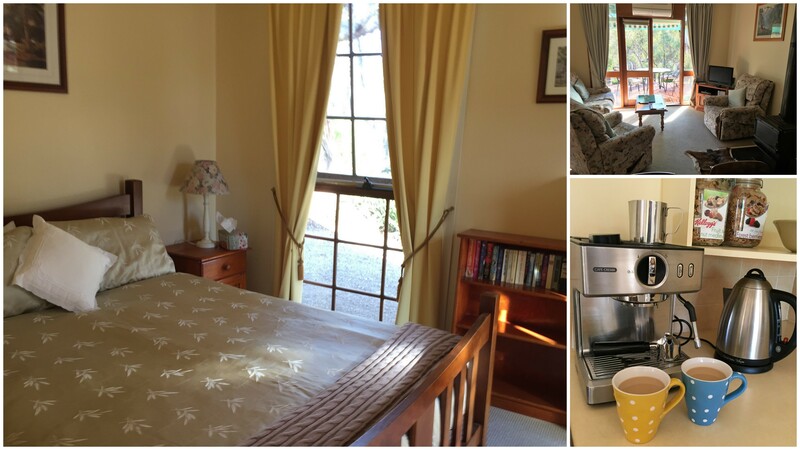 You have all the requisite tea and coffee making facilities. The only thing you do not have is a kitchen, but who can complain when breakfast is prepared for you by Carol & Russell, thus offering you the true bed and breakfast experience. Russell's connection with nature is revealed by his vivarium where he keeps two very tame snakes which Russell was happy to show us, and there are two aviaries with a variety of birds. His chicken numbers were slightly reduced by a rogue fox which probably hasn't returned since Russell sured-up the compound. After a day out exploring, wine tasting, visiting galleries, museums or local sites, or expending a fair degree of energy cycling The Riesling Trail, falling into the spa bath with a drop of their Coach House red and the chocolates that have been left for guests is a nice way to finish the day. There might be some energy left for the very short drive to drive into town to enjoy one of the local restaurants. If not, there's the BBQ which is perfect for cooking some local grass fed beef or lamb with locally grown greens or salad. We left knowing this was a little haven in the Clare that we would be happy to recommend. 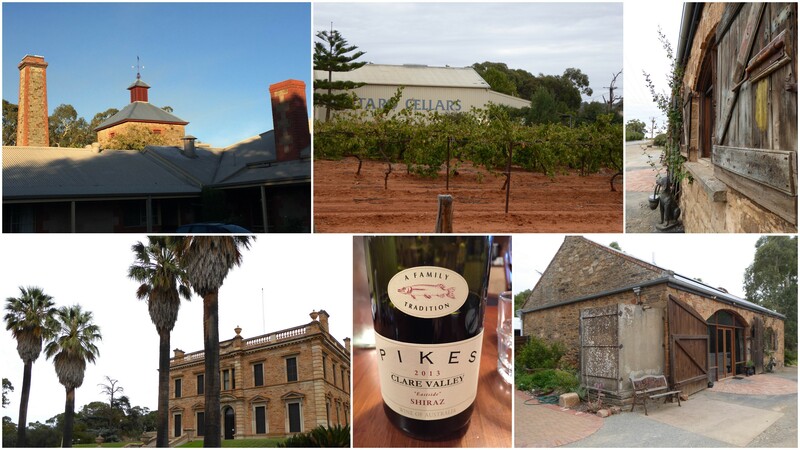 What a lovely place for a stay in the Clare Valley. Thanks for sharing.